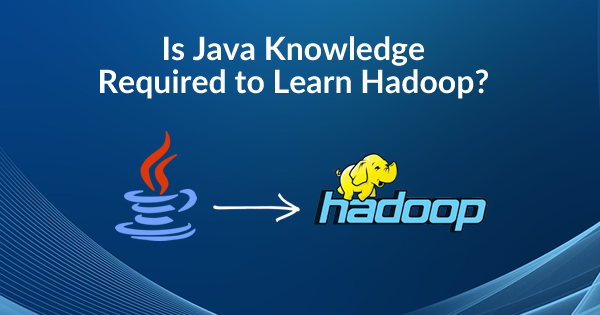 Blog Big Data How much is It Required to Learn Java for Hadoop? How much is It Required to Learn Java for Hadoop? Apache Hadoop is one of the most popular enterprise solutions for big data, adopted by most of the IT majors. It has established itself among one of the top 10 IT jobs for the years 2016 and 2017. Hence, it becomes essential for the professionals who aspire to become proficient in Hadoop to explore this evolving ecosystem on a daily basis. A Hadoop certification can help you to get one level up in your Big Data Career. Check our HDPCA Certification Training and Cloudera CCA Admin Certification. Learning Hadoop is not an easy task. However, it becomes hassle-free if you know about the hurdles and how to overwhelming it. As we know Hadoop is open source software with two essential building blocks – Linux and Java. Thus, it is vital for every Hadooper to acquire essential knowledge of Java for Hadoop. Knowing Java concepts for Hadoop is a plus but of course to learn Java for Hadoop is not essential. In this blog, we will highlight the areas of Java that one must focus on to learn Hadoop. How do We Use Java for Hadoop? Hadoop data processing is done by using its MapReduce program. This is a Java-based programming framework which interacts between Hadoop components. The map function helps to filter and sort data whereas reduce function deals with integrating the output results of the map function. Mapper and Reducer store data in Java objects. In the MapReduce program, Java Writable interface is the most important interface. Java objects which marshal from or to files over the network use this interface. Similarly, in Hadoop, this interface is used to transmit data using serialization. Furthermore, Hadoop can use any custom data type as per the requirement. The Writable interface is also used for the purpose of generating the custom data type. It is important to note here that only basic concepts of above areas are enough to learn Hadoop. However, if you have advanced Java concepts, then it is a plus for you if you are going to play the role of Hadoop developer. Thinking to build a career in big data as a Hadoop Developer? Get familiar with the Hadoop Developer Job Responsibilities first. Is it Mandatory to Learn Java for Hadoop? Today there are various tools available to deal with the high-level abstraction of data which underlying converts MapReduce programs in Java. For example, tools like Pig and Hive provided by Apache perform such operations. We can use other scripting languages like Ruby, Perl, Python or C for writing MapReduce programs. Moreover, these languages support Hadoop streaming API. Hence, knowing Java for Hadoop is not mandatory. On the contrary, what are the benefits we can get if we learn Java for Hadoop? Hadoop is written in Java, and it handles the Sequence File format which is dependent on Java. Although Hive or Pig gives you some user-friendly features, however, writing your own UDF may be a need at times. As Java has robust support for them, it is ideal for writing UDF. Though there are many Hadoop tools available in the market, however, they are not mature enough. Hence as a developer, you may face many Java error stack traces, and without knowledge of Java, it is impossible to resolve them. Just like Java knowledge is recommended for Hadoop professionals, Java professionals should also learn Hadoop. Here are the reasons why Java developers should learn Hadoop. How Can You Learn Hadoop if You don’t Know Java? To be a Hadoop professional, it is more essential to know the concepts of Hadoop than the knowledge of Java. If you look at Hadoop professionals who are working with this technology domain, not all of them are from a programming background. However, they find themselves bit difficult to go through smooth recruitment options in the organizations. Along with that, you should remember that, to learn Hadoop, you need to follow sequential steps along with enough time and money. 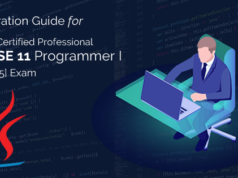 Among the roles mentioned above, programming is mainly needed for a developer role. 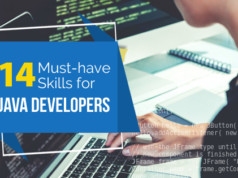 However, you may or may not need to learn Java for Hadoop learning if you select to play a Hadoop developer role. How? We will explain it in the next section. It is a misconception that Java MapReduce is the only way to process big data in Hadoop. Apache Hadoop supports other languages to write code for data processing. At the end of the day, end users are rarely going to validate how the data has been processed, whether it is by MapReduce or by other languages! Python is an easy language to learn, code, and understand than Java. For the same functionality, you need to code very minimal line in Python than Java. Hence, it has become a popular choice for new programmers. Ruby is mainly used to build web applications. However, many web developers find it easier to use it to code MapReduce Jobs. Perl brings along a large number of ready-to-use modules for users whether the user is a developer, system administrator or tester. Python acts as an alternative to Java for Hadoop developers. Let’s have a look how python and big data together help you have a bright career. Tools like Pig and Hive provide an absolute abstraction in Hadoop for MapReduce jobs. These tools are built on top of the Hadoop and when you use Pig Latin or HiveQL programs, they automatically get converted to MapReduce jobs. Hence, you don’t need to worry about underlying programming operations or the need to learn Java for Hadoop. Moreover, these tools are easy to learn and ideal for people who do not have any prior knowledge of programming but want to learn Hadoop. Here are the two most popular languages for non-programmers who want to learn Hadoop. Developed by Yahoo for processing the large set of data in Hadoop, Pig is a language that does not ask you to learn Java for Hadoop programming. Pig uses its own language Pig-Latin and runs MapReduce jobs in the backend. Hence, it works as a layer of abstraction making developers’ life easy. Developed by Facebook for Hadoop, Hive is a tool which uses a query like a language for big data processing in Hadoop. The language it uses is known as HiveQL. It is very similar to SQL. Hence, anyone who knows SQL does not need to go through the pain to learn Java for Hadoop for writing MapReduce jobs. In Which Scenarios It is Required to Learn Java for Hadoop? As we have mentioned above that, there are different roles and responsibilities in Hadoop, and not all of them require Java knowledge. However, in the below scenarios, you must have to learn Java for Hadoop. Though very rare, some of the Hadoop projects need to build product development on top of Hadoop. As Hadoop is built on Java, hence, new product development on top of the Hadoop framework requires java coding. Not to mention, you need expert Java knowledge for it. Sometimes you need to extend the functionality of Hadoop tools or even need to develop custom Input and Output Formats. In these cases, you need to define user-defined functions in Java which needs Java coding background. Debugging is a part of any developer job. Hence, even if you can use Pig or Hive as a substitute of the MapReduce program, exceptions or errors may arise, and your Hadoop program may crash. Being Java-based framework, any exceptions in Hadoop will be Java exceptions or errors which you can only understand if you know Java. So, we have highlighted both the sides whether you should learn Java for Hadoop or not. However, we always advise you to have some basic idea of Java concepts when you want to learn Hadoop to make your journey smooth. At Whizlabs we offer Hadoop certification online training for the Cloudera CCA Admin Certification and Hortonworks HDPCA Certification which provide you adequate guidance with theory and hands on. The training materials are developed in a way that it will help anyone to acquire the proper knowledge of Hadoop irrespective of programmer or non-programmer. Moreover, you will get expert support from our industry experts. In addition to that, if you are interested in getting training on Java, we have the entire stack of Oracle Java certifications for you. Hence, join us today and become a Hadoop professional to achieve your dream career! 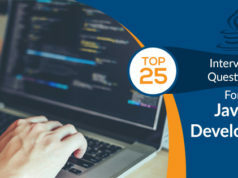 What Should Java Developers Learn in 2019? I was in search of this answer and was not getting a satisfactory answer. But your article has now cleared all my doubts regarding the necessity of Java for Hadoop.